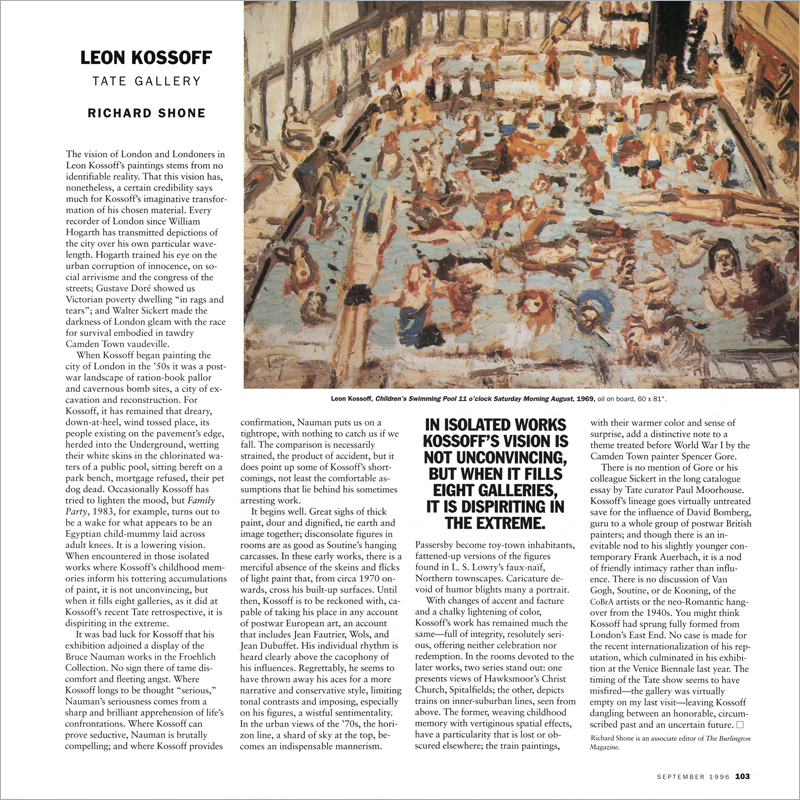 The vision of London and Londoners in Leon Kossoff’s paintings stems from no identifiable reality. That this vision has, nonetheless, a certain credibility says much for Kossoff’s imaginative transformation of his chosen material. Every recorder of London since William Hogarth has transmitted depictions of the city over his own particular wavelength. Hogarth trained his eye on the urban corruption of innocence, on social arrivisme and the congress of the streets; Gustave Doré showed us Victorian poverty dwelling “in rags and tears”; and Walter Sickert made the darkness of London gleam with the race for survival embodied in tawdry Camden Town vaudeville.